Leicester defender ​Caglar Soyuncu will be given time to prove his potential to manager Brendan Rodgers. The 22-year-old has only played eight times this season since his £19m move from Bundesliga side Freiburg last summer. 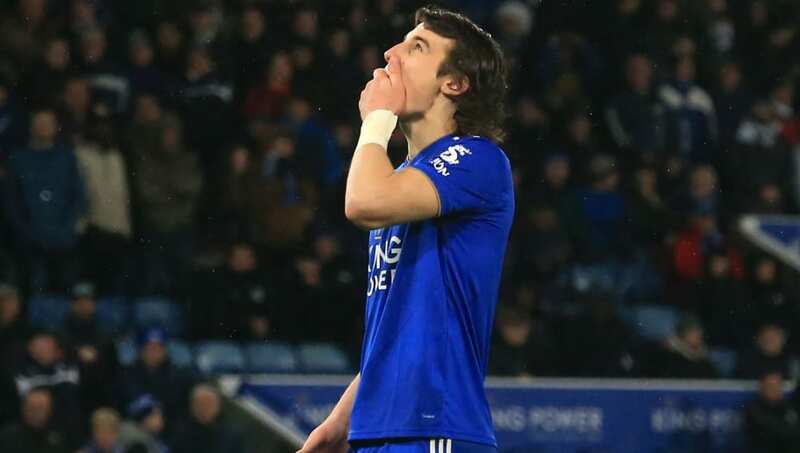 The Turkey international was given his first appearance since January on Saturday during Leicester's 4-1 win over Huddersfield, and Rodgers believes that the Foxes have a real talent in Soyuncu. “He has been very strong but very unfortunate because you are playing one game a week and the team has stability,” Rodgers said, as quoted by The Leicester Mercury. “He is strong and aggressive, but he hasn’t had a lot of game time. He is adapting. It is a different game in the Premier League and he is adapting to it. Reports suggested that City had rejected loan bids for the centre-half, but his agent has claimed that Besiktas may be interested in taking Soyuncu back to Turkey in the summer. Leicester, meanwhile, have dramatically improved since the former Celtic boss replaced Claude Puel in February, with the Foxes winning four games in a row to lift them into seventh in the Premier League. If Watford fail to beat​ Manchester City in the FA Cup final, seventh would be good enough for a Europa League place next season, meaning Rodgers would need all the help he can get in terms of squad depth.